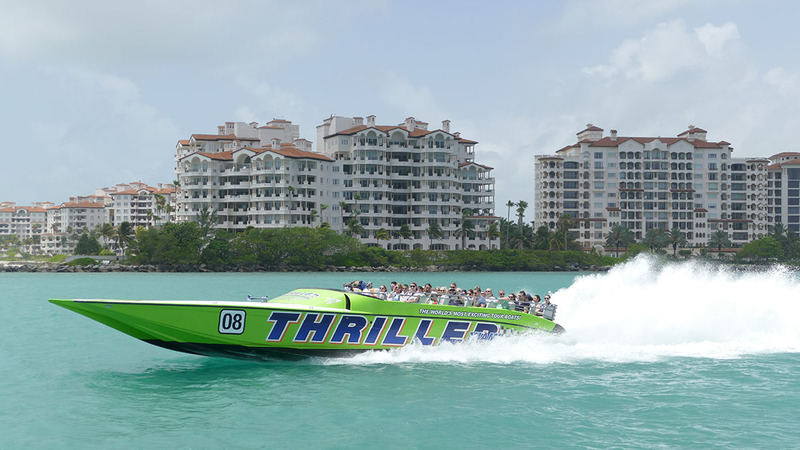 Thriller Miami Speedboat Adventures is located in Miami. 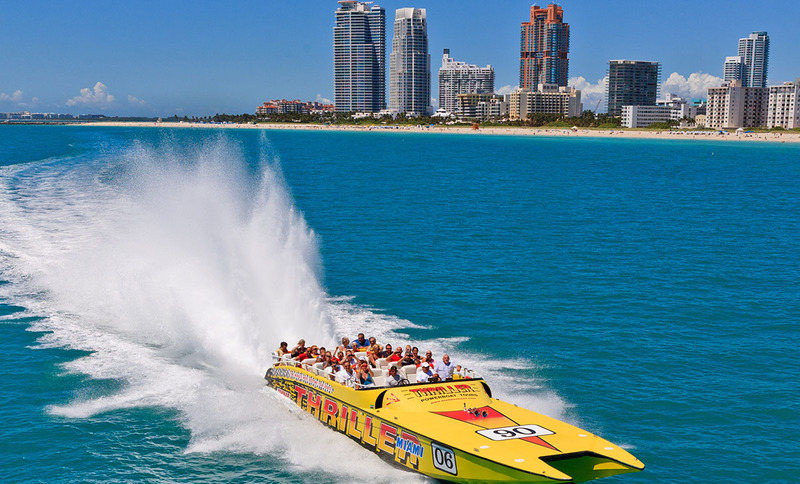 Add Thriller Miami Speedboat Adventures to your Miami travel itinerary, and discover new vacation ideas by using our Miami trip planner . I rarely write a review but this one is much needed and deserved. We went on a 45 minute tour with Captain Chris and his crew. ( His crew, very informative about the area and great hype men with the music.) Then the weather made a turn for the worse. Chris kept us out longer than scheduled to keep us SAFE, all while keeping us well informed and entertained. On behalf of my family and myself we are truly grateful! They truly showed their professionalism. Highly recommended! Awesome experience! the crew made sure we had a good time, the music was great , they sang along and danced and took pictures of us (with our cameras/phones). Whenever we passed by an important landmark the captain would slow down the boat and tell us about it. 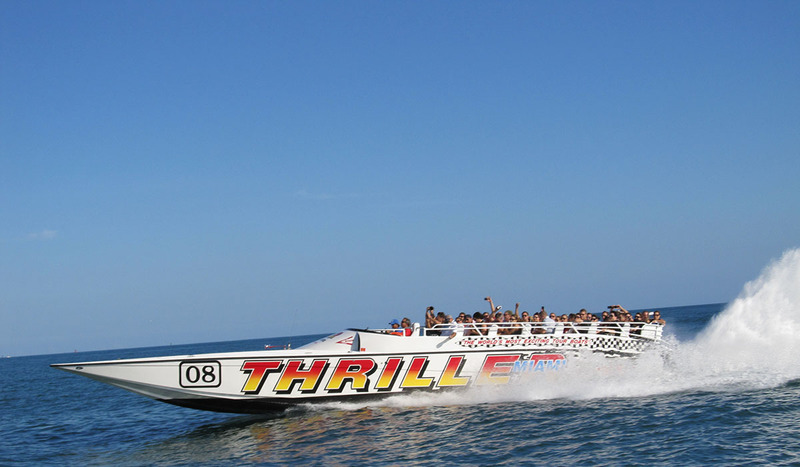 The captain was driving really fast, we got wet but the feeling was amazing! 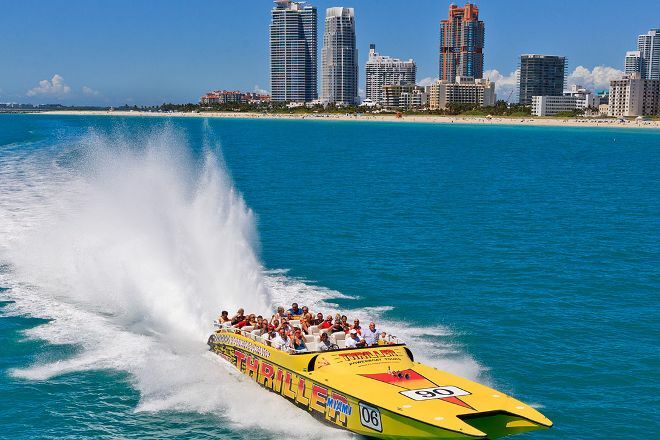 the speed of the boat with the music blazing in our years with Miami skyline in the background... does it really get better than this? I also have to mention that although we were going really fast, we felt safe all the time. Definitely doing this again!